We are in a technological era where the rules of doing business and the consequent tools are ever evolving. To stay ahead we are constantly forces to abreast with the changing times if only to ride the waves for as long as they last before we move on to new times. 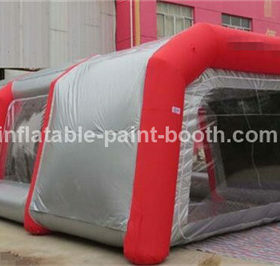 The same can be said for inflatable spray painting booths. 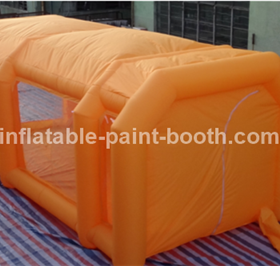 While portable spray painting booths have been in existence in the form of retractable booths, their inflatable counterparts come with a number of advantages making them easier to use and thus preferred by a number of people over the retractable types. 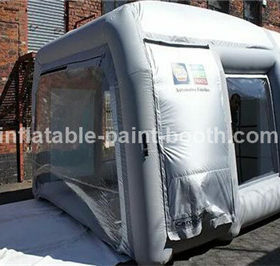 Inflatable painting booths allow you to be mobile thus you can literally take your work anywhere. In an era where clients are first and foremost looking for convenience in service delivery, having the ability to meet the client at any location, set up and give quality service is definitely a huge selling point for your business. This flexibility allows you to grow your business without necessarily wracking your brain about how to draw the clientele to your door space. 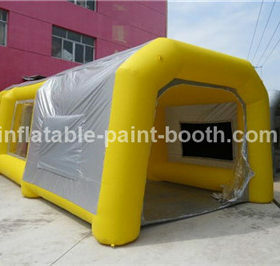 In terms of business growth, these spray painting booths might just be what you need. 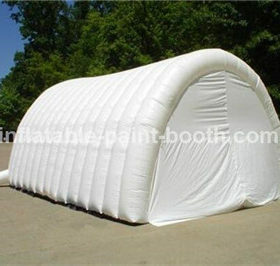 Where space is the limitation to your expansion, these will definitely come in handy. Since they are not permanent, you can set them up whenever the workload is bigger than usual and set down and store it away when not in use, freeing up the space for alternative uses. 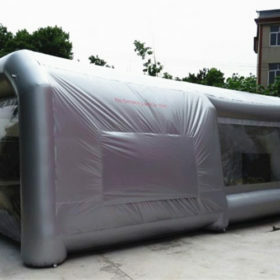 They fact that they are generally designed to have transparent windows allows you to work under natural lighting you higher chances of spotting those tiny errors that would have gone unseen under artificial lighting. 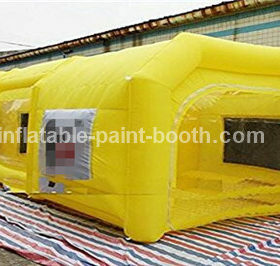 Given the amount of time and money saved when setting up an inflatable spray painting booth, you will end up with time and money in your hands to invest in other parts of the business that might have been neglected.